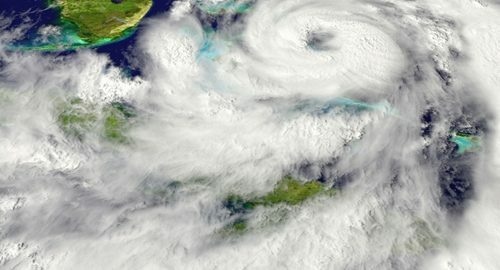 Coastal residents of Florida, Georgia and the Carolinas are bracing themselves for the impact of Hurricane Matthew. A state of emergency has already been issued, and areas are being evacuated in high-risk areas of each state. The Weather Channel warns that even if the hurricane fails to make landfall, the strong winds and flooding may still come ashore even if Matthew remains 20 to 30 miles offshore. Hurricane Matthew has already ravaged regions of the Caribbean, and is currently projected to cause extensive amounts of damage. State authorities have urged more than 2 million people to leave their homes, making it the largest mandatory evacuation in the country since Hurricane Sandy in 2012, according to CNN. "Hurricane Matthew has already ravaged regions of the Caribbean." Florida Gov. Rick Scott warned his state's residents early Thursday morning to evacuate if they haven't already, saying "this storm will kill you." Based on the latest projections, CNN reports the storm is expected to make landfall in Florida early Friday as a Category 4 hurricane. "This could be an extremely disastrous hurricane for so many large areas where so many people can be affected," National Hurricane Center Director Rick Knabb told CNN. "It's not just going to come ashore and affect a narrow zone and then move on. It's going to be going up the coast and could remain a major hurricane at the coast, or very close to it, the whole way up. That's awful."